As part of the National Theatre's 50th anniversary celebrations The mac and The Electric are showing National Theatre recordings. The mac has two screenings of Oscar-winning director Danny Boyle's Frankenstein (Oct 31 and Nov 24). 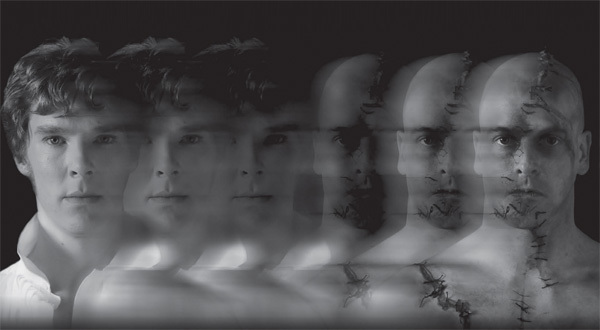 Benedict Cumberbatch (Sherlock) plays the messed up Victor Frankenstein and Jonny Lee Miller (Trainspotting) his even more confused creation. The Electric, meanwhile, is showing Hamlet, starring Olivier award-winning actor Rory Kinnear. Worth remembering that if you book sofa seats at the back of The Electric you can order drinks to be delivered to you from the bar, by text. Slick. Tickets: Frankenstein prices start at £12. Hamlet starts at £10.50. 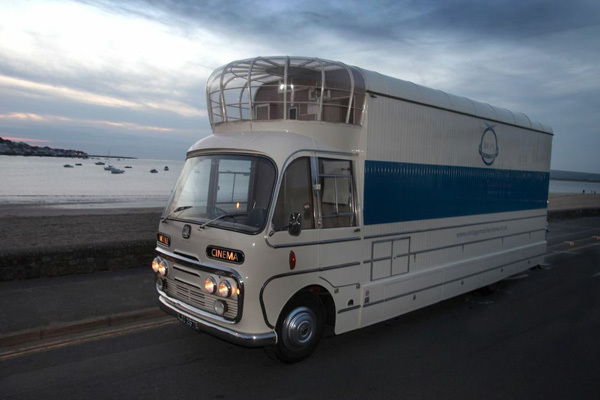 A 22-seat movie theatre (images above and top) parks up in Birmingham for the first time in four years on November 1, as part of the brilliant Eye Candy festival (Oct 31 to Nov 3). The sound-treated bus comes with carefully tiered seating to ensure everyone gets a corking view of the HD screen. Although the schedule isn't confirmed expect stunning short films that won't cost you a penny. In fact, the whole festival is free meaning you can take your hard-earned cash to their Bicycle Basket Bazaar where affordable art (including work by Ben Javens) is for sale. A full timetable of events is right here, so make like Adrian Mole and stick it in your diary. 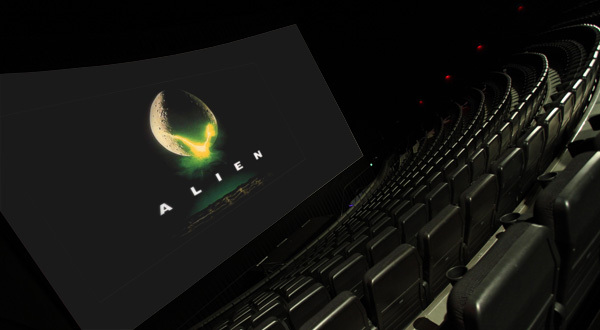 Over a three day period The Giant Screen at Millennium Point are showing sci-fi films chosen by the people of the West Midlands. You tasteful lot plumped for the first instalment only, thank God, of The Matrix (Nov 4), Alien (Nov 5) and Moon (Nov 6). 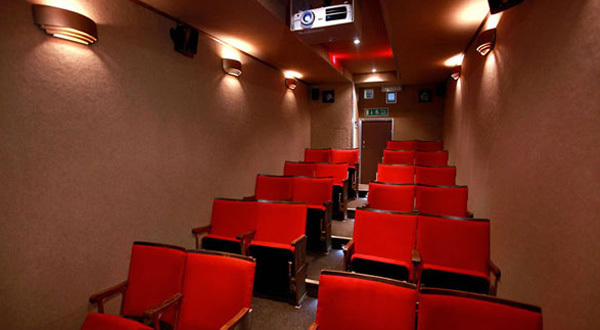 All will be shown on the largest independent cinema screen in the UK - a 72 ft by 41 ft monster. The three day memory lane of movies builds up to the preview screening of Gravity, on November 7. The George Clooney and Sandra Bullock space thriller promises to be one of the films of the year and will run until November 22. Watch the trailer. Deserves a giant screen, right? Prices are unconfirmed so check back here. Never frugal with the booze, Ginger's Bar at Purnell's Bistro has a reputation for delectable, really powerful cocktails. Here's one you won't find on the menu, but need to try. 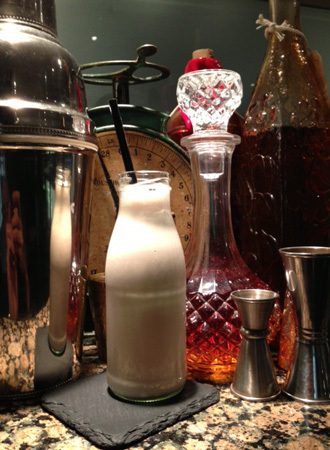 Served in a mini milk bottle the 'Peanut Butter and Jelly Milkie' is an unholy, undulating marriage of bourbon, Chambord, Frangelico, vanilla syrup, peanut butter and half & half milk. Chances are you'll manage just the one, but their on-menu Pink Panther (includes blueberry-infused gin) is worth moving on to, and sticking with. Happy Friday.